Keanu Reeves is a Canadian actor, musician, director, writer, and producer. He is the star of The Matrix and John Wick films, among many others. 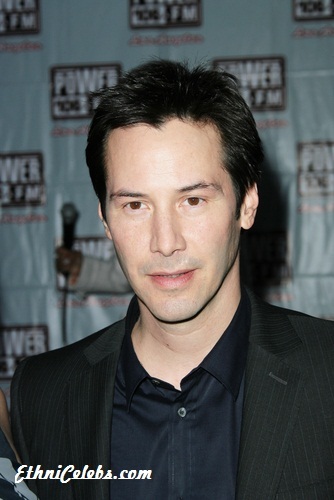 Keanu was born in Beirut, Lebanon, to Samuel Nowlin Reeves and Patricia Taylor. His father, a geologist, is American-born, and his mother, a dancer and costume designer, is English-born, from Essex. Keanu was raised by his mother in Toronto, Ontario, Canada, and holds Canadian citizenship. During his childhood, he also lived in Sydney, Australia, and New York City, U.S.
Keanu was in a relationship with actress and production assistant Jennifer Syme, until her death in 2001. In 1999, the two had a daughter, Ava Archer Syme-Reeves. Their daughter was stillborn. Keanu’s paternal grandfather was Samuel Nowlin Reeves (the son of Charles Armistead Reeves and Rose Lokalia/Lokailia Miguel). Samuel was born in Hawaii. Charles was born in Tennessee, of English, Scottish, and distant Dutch, roots, and was the son of Sampson W. Reeves and Mary Virginia Arimstead Nowlin. Rose was the daughter of Joseph Miguel, who was Portuguese, from the island of Madeira, and of Waihine or Malaia Lokalia, who was of Native Hawaiian ancestry. Keanu’s paternal grandmother was Sarah Monilani/Momilani Victor (the daughter of George Peter/Pahio Victor and Lillian/Lilian K.). Sarah was born in Hawaii. George was the son of Joseph Aiona Victor and Maggie Makakapu Pahio, and his race is listed as “Hawaiian” on U.S. Censuses. Keanu’s great-great-grandfather Joseph was the son of Kamukai/Kamokai/Kemukai (later Kamukai Victor) and Amelia/Emalia Ah Akoi, who were evidently both the children of Chinese fathers and Native Hawaiian mothers. Therefore, Joseph Aiona Victor was of one half Chinese descent, and Keanu Reeves is of (at least) one thirty two Chinese descent. Keanu’s great-great-grandmother Maggie Makakapu Pahio was a Native Hawaiian. Keanu’s great-grandmother, Lillian/Lilian K., is listed as “Caucasian Hawaiian” by race on the 1930 U.S. Census, and as “Part Hawaiian” by race on the 1940 U.S. Census. Lillian’s father was from Australia. Lillian’s mother was born in Hawaii. What a huge mess, your links and sources are not accurate. You can’t simply use forum discussions to determines someone’s ethnicity. Keanus reeves father look half asian and his grandmother look 100% Asian. I seriously doubt he is only 1/16 Chinese like this ethnicelebs stated. Which source is inaccurate? Let’s start with one.